On National Prison Protest Day, Support the Struggle of Khalfani M. Khaldun! September 9, 2016 is the day of the national prison protest all over this country. September 9 marks the 45th anniversary of the Attica Prison Riot, which began shortly after the assassination of Comrade George L. Jackson by prison officers at San Quentin on August 21, 1971. 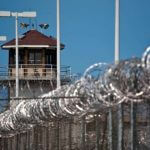 That caused the prison rebellion and insurrection at Attica, which resulted in prisoners and officers being shot and killed in the government’s attempts to re-take control of the prison. In recent weeks the Free Indiana Movement came into existence motivated and inspired by the Indiana IWW Incarcerated Workers Organziing Committee (IWOC), which launched a large awareness campaign, sending close to 300 packets highlighting the national day of protest centered around September 9, encouraging unity and prisoner solidarity across racial lines as one prisoner class. 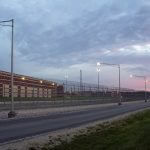 The packet campaign created fear and panic from Wabash Valley Correctional Facility’s top brass. The IDOC Commissioner also got involved. Indiana Political Prisoner Bro. Khalfani Malik Khaldun has been held in prison for close to 30 long years. Held in solitary confinement for 20 years for his political associations and tireless sacrifices in the service of other prisoners in similar situations, Bro. Khalfani became the target and primary focus of IDOC Commissioner Bruce Lemmon, who ordered Khalfani to be locked up in association with the September 9 national day of protest. 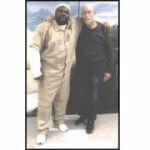 Having a recent visit with his comrade that lasted three hours, prisoncrats feel Khalfani organized/planned a non-violent show of solidarity and unity for September 9 at Wabash Valley Correctional Facility. Hoping to disrupt prisoners coming together, on August 19 the Commissioner (who is up for retirement) ordered Khalfani to be placed in solitary confinement under investigation. Khalfani was denied his food orders, and forced to sleep in a cell for 9 Â½ hours without a warm mattress on a slab of rusted steel. He was later given some property, but the buttons on his TV were smashed or broken, and the cord to his fan was snatched out. He’s going to need financial support to replace his damaged belongings. The cost will be $280. Khalfani’s comrade has been barred from visiting him due to the political nature of the packet campaign. He called for peaceful protests and prisoncrats feel his actions created security concerns. On August 25th, Asst. Superintendent Frank Littlejohn visited Khalfani in solitary on orders by the Commissioner to advise Khalfani that he was being held as the only political prisoner at the prison with influence to lead the call for protest on September 9. Being sent to solitary confinement was done to quell any call for resistance as he is a symbol of revolutionary activism. 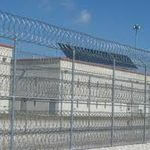 Mr. Littlejohn advised Khalfani that a major prison disturbance could cast the bigwigs in Indianapolis, i.e. Commissioner Bruce Lemmon, in a negative light prior to his retirement. Plus, they don’t want whoever replaces him as Commissioner coming into office on a bad note. This makes Khalfani a potential target for “political reasons” on any given day by Indiana D.O.C. prisoncrats. The Assistant Superintendent Frank Littlejohn also advised that as long as no major disturbance occurs their plans are to release Khalfani by September 12th, 2016, not wanting to take chances of him being out on September 9th to motivate prisoners to action. We have to support and mobilize around this brother to show his oppressors he’s not alone. Upon his release from segregation he will release a videogram message for his supporters, so please stay tuned for updates. Join us in building a stronger movement that is sustainable and ready to heed the call for freedom, justice, and equality for Indiana prisoners. You may show your support by showing Khalfani some love and encouragement. Indiana Political Prisoner Bro. Khalfani Malik Khaldun has committed no wrong, yet they’ve isolated him from being too influential. How crazy is that? Do you agree that he deserves the recognition and backing given to other political prisoners held in U.S. prisons? We support such an official recognition. Now we urge you to stand with him too.